History of Nova Scotia; Book 2; Part 5; Ch. 9. "Two Notable Naval Engagements: The Little Belt v. President & The Belvidera v. the American Fleet." Ch. 9 - Two Notable Naval Engagements. In 1811 news was heard by Americans along their eastern seaboard that an American seaman had been pressed by a British frigate off Sandy Hook. Commodore John Roberts (b. 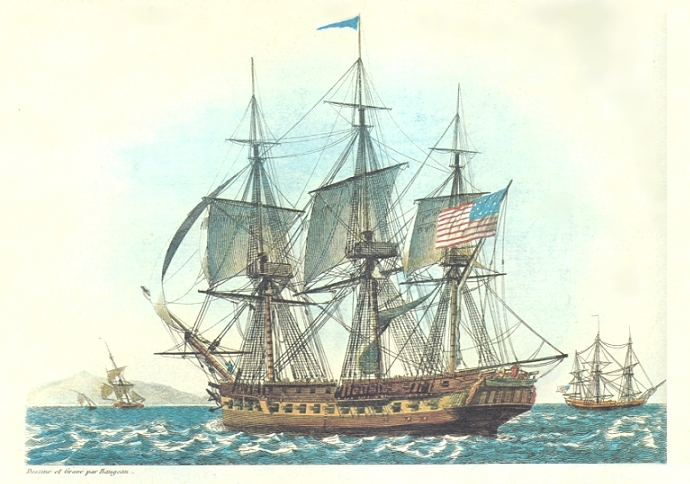 1771) in command of the 44-gun President was ordered to sea to protect American commerce. On the 16th of May, 1811 -- a full year before war broke out between the British and the Americans -- Roberts sighted and followed a British naval vessel. They were about 50 miles off of the entrance to Chesapeake Bay. The British naval vessel was the 20-gun Little Belt. Now, it is not likely that the Little Belt knew right off that what she saw on the horizon, some 10 miles distant, was an American 44-gun frigate. Likely it would have made no difference anyway, as the British vessel could hardly be expected to outrun the larger American vessel. It was midday and the Little Belt continued on her course off Sandy Hook with a view to rounding Cape Hatteras. The American vessel followed her quarry for the rest of the afternoon. Captain Bingham became uneasy and decided it best, before nightfall, to determine who the stranger was and what was she up to. The Little Belt hoved to and, with guns double-shotted, hoisted her British colours. The crew of the Little Belt became quite busy managing the sails so to wear over from one point of sail to another. She did not want to be raked or to use a land army expression, enfiladed.6 Three times she wore.7 All along the President kept advancing, until she arrived at a point only 90 yards off Little Belt's stern quarter. What to do? Captain Bingham hailed the President. Receiving no answer, the Little Belt wore a fourth time. The President kept advancing. Joseph Allen tells us what happened next. Wm. Elmes, painter & engraver, 1811. This event took place at about dusk, around 8 P.M.. Put aside the two questions -- Who started it? And, was it started by mistake? The fact is that both ships were "heavily engaged for half an hour." The outcome was predictable. The two ships lay off for the rest of the night repairing damage, and at daylight of the 17th the President again closed with the Little Belt. 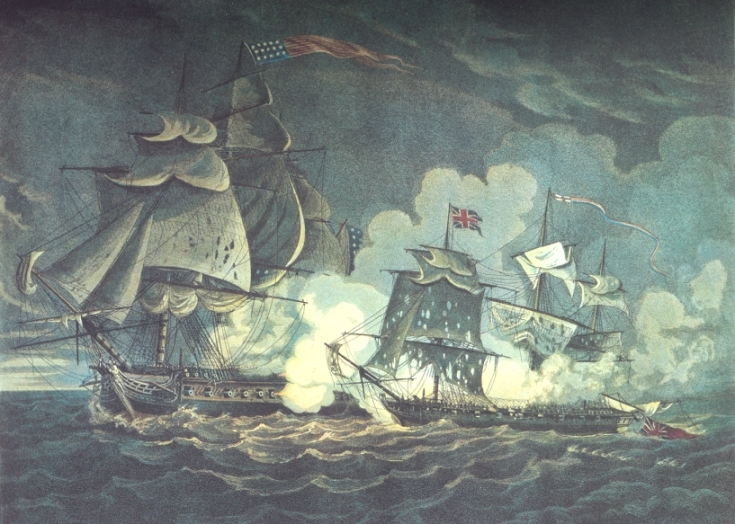 A boat was sent over from the American frigate with a message to the effect that Commodore Rodgers regretted engaging so small an adversary but that he had mistaken the sloop for a frigate.9 And since, as he maintained, the Little Belt had fired the first gun, he had been forced to retaliate. Though her masts, sails, rigging and upper works were badly damaged and with many shot holes in her sides, the Little Belt slowly made her way to Halifax arriving there on May 26th.10 At Halifax there was much excitement. War with the United States was now clearly on the horizon. In his official report, Commodore Rodgers claimed that the British sloop had the appearance of a frigate. Further, it was the Little Belt that started the fight and it was up to the President to finish it. The American papers, as you might expect, sided with Rodgers. However, the American government did eventually admit responsibility and paid reparations. A hearing was conducted at Halifax where two British seaman, who had been on the President at the time, and who later "redeserted" to the British, gave evidence that the first shot was fired accidently by the President. She was like an overeager runner in the blocks, who started before the gun. A number of months were to pass as each side determined how best to deal with the other. Throughout these times the pressure was building between the two countries and once positions were taken neither one cared to back down. On May 11th, 1812, the British Prime Minister, Perceval was assassinated in the lobby of the House of Commons. The Americans had nothing to do with that, of course; the deed was carried out by a deranged, bankrupt, Liverpudlian, businessman. The point is that there was a political upheaval at a critical time which distracted the boys at the top. Of course, the principal distraction was the war in Europe. The issue that Americans were not to be interfered with by British cruisers on the high seas, was one which was not getting enough attention in the British halls of power. The President of the United States, James Madison, and the American Congress decided to get this needed attention. 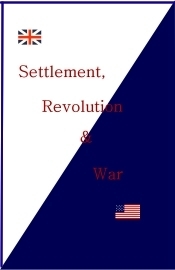 On June 18th, 1812, Congress passed a declaration of war, seventy-nine to forty-nine in the House of Representatives and nineteen to thirteen in the Senate, approving President Madison's recommendation. Britain determined to delay the counter move of making its own declaration, hoping that diplomacy might yet work. Britain declared war on the United States on January 9th, 1813. The parties, however, were in the fight earlier than that. The delays in getting news across oceans in the days of sail meant that some people are in the know months before others.12 The American declaration of war was sent the same day to the United States Department of the Navy. "Within an hour a division of five ships was under way for sea. "13 The fleet was under orders to stop and capture anything British. An under-protected trading convoy would be nice. Indeed, the American squadron had news that such a British convoy was but a few hundred miles away and downwind. The Americans, with canvas crowded on, went after their quarry. They whistled along, even though they carried heavy burdens of sea supplies. Then a large sail was sighted to the northeast, heading toward the squadron. It is always a chase down wind when one square rigger is after another. In such circumstances, even a smaller ship has a good chance of getting away from her pursuer. The President, as fast and as well handled as she apparently was, could not catch up. What the Americans wanted was to put the President close enough, so to turn and level a broad side into the smaller Belvidera. However, in such a manoeuver, the President would lose her speed and the Belvidera would go out of range. The best the President could do was to use two chaser-guns, one just either side of her bow. The Belvidera had four cannon rolled out the stern galley windows, a place which provided room for the British crews to work their guns. Further, the recoil of the President's bow guns cut her speed by a small measure each time they went off; with every roar of her four stern-guns, the Belvidera got a boast in the right direction. "The President closed the distance steadily; about four o'clock in the afternoon she fired three shots from her bow chasers which were aimed with such extraordinary accuracy that all took effect, two entering Byron's cabin just below where he stood, and one entering the gunroom below that. A sailor at the larboard stern-chaser was killed instantly and six others wounded, one mortally. Five minutes later the Belvidera had reorganised the guns' crews and returned the fire. The wind was light and she also made excellent and methodical practice, first carrying away a studding sail and then putting her shot among the guns' crews. This event on the President, together with the industry of Belvidera's crew in throwing tons of equipment and provisions overboard, allowed the Belvidera to draw gradually away. As night fell, the Belvidera had increased the distance between herself and her pursers. On the morning of the next day, the American Fleet saw no sign of her. Although damaged by the bow-chasers of the President, the Belvidera had gotten away. Captain Richard Byron, the officers, and men of the Belvidera were a plucky lot.16 After shaking off the American fleet and thinking that such an event had to mean that the expected war had become a fact, the Belvidera decided to make the most of the situation. "Two or three American merchantmen"17 were captured during the three day run back to Halifax and escorted them all into Halifax Harbour as "Prizes of War." C. H. J. Snider, in his wonderful book, wrote how "on June 27th, 1812, Captain Richard Byron brought in his Majesty's Belvidera, all chewed up like a dog from a street fight. He had been chased and pummelled all day by an American squadron of five ships under Commodore Rodgers." 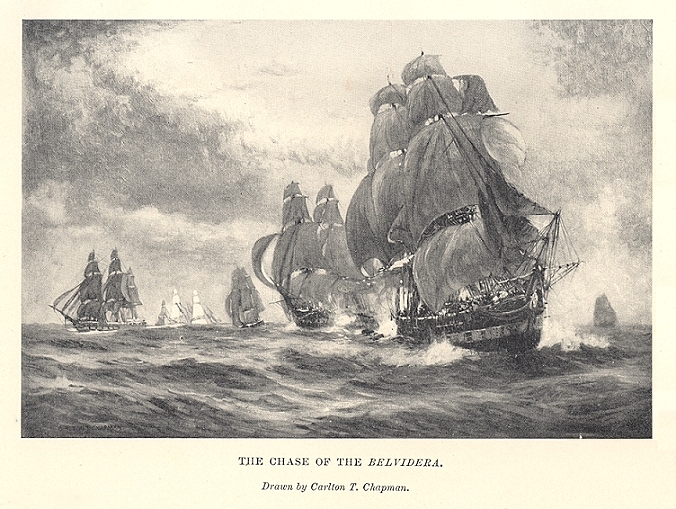 Snider also reported that there were seventeen of the Belvidera's crew killed and wounded.18 Murdoch wrote, "two seaman were killed, four severely and eighteen slightly wounded ..."19 Both captains were wounded in the thigh, Byron by the carriage slide of a carronade breaking loose and Rodgers by an exploding gun.